Perhaps you are a woman from 20 to 50, discerning your vocation to a Catholic religious community of sisters or nuns. You might be asking some key discernment questions about being called to an Augustinian Community. How do Augustinians differ from other religious communities, such as Franciscans or Carmelites? One way to find out is to come and visit with us. How do you discover and recognize your vocation and calling? One way is to prayerfully reflect, like St. Rita, on what type of life is attracting you. Do you feel like you want to be part of, and contribute to, a community of Catholic women religious? Do you feel the need for daily individual and community prayer? Do you feel you want to serve and assist families and the elderly? Like St. Monica, have you learned both patience and trust in God’s goodness and Providence, even in the challenges of your life? Like St. Augustine, do you have a heart yearning to ‘rest in God’? Like St. Rita, do you feel a powerful attraction to God? This powerful yearning for God was the power that directed St. Rita through life. She was always listening to God and responding to Him. By this, she was encouraged to risk the next step in her life, whether it was in her youth, her marriage, her widowhood or later in her religious life. Her times of solitude and pain were threaded with His presence and voice. How is God calling you? How do you find yourself listening and wanting to respond? This inner attitude of standing responsively before God, to do His will, was apparent throughout St. Rita’s life. For her, all roads led to God and through God. She sought God on her road to the Scoglio and felt close in prayer. She found God on the winding road to the Augustinian hermits whom she asked advice. She discovered God in the path from her home in Roccoporena to the Augustinian nuns in Cascia. She recognized God in the many people that she walked alongside of during her life, who needed her help. How has God revealed Himself to you? 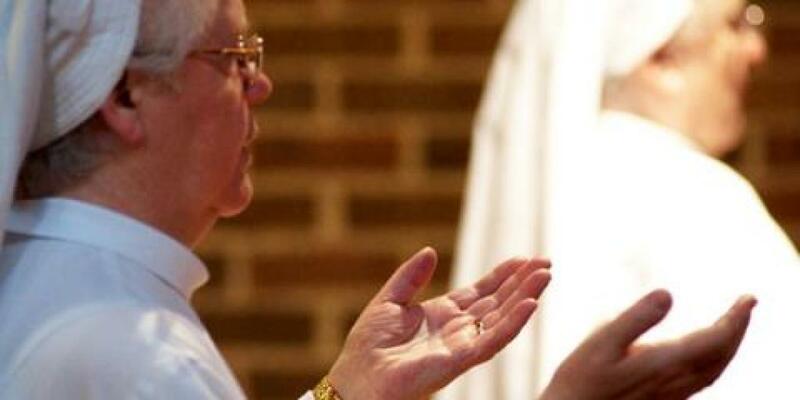 Is God calling you to consecrated life as a religious?